Blog How to find your Comcast XFINITY/Comcast Business Speed Tier? How to find your Comcast XFINITY/Comcast Business Speed Tier? 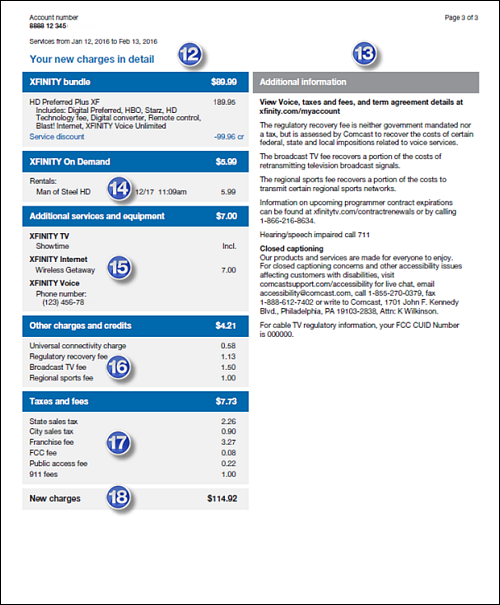 If you are not sure how to find your speed Tier you are paying for, you can find it listed on your monthly internet bill. See an example below. Look for ITEM-12 (it shows BLAST! Internet) and ITEM-15 (It shows Cable modem Router Rental Charge and any additional speed Upgrades) For more information regarding your cable modem or speed tiers, please call 1-800-XFINITY for assistance. 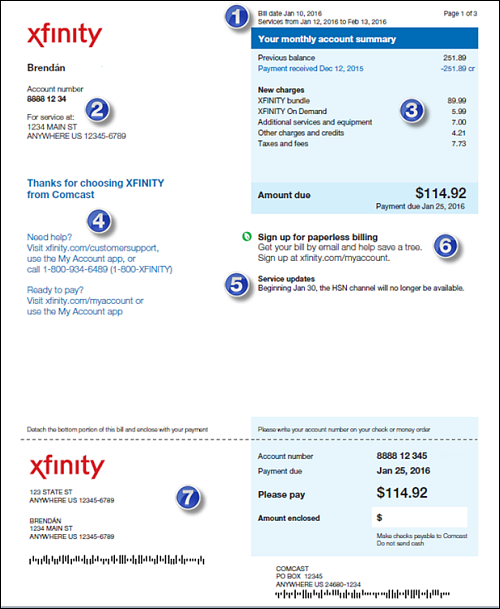 If you are not sure how to find your speed Tier you are paying for, you can find it listed on your monthly Comcast Business billing statement. See an example below. Look for ITEM-11 (it shows Starter Internet), ITEM-13 ( STATIC IP charges) and ITEM-15 (Cable Modem Router Rental Charges) For more information regarding your cable modem or speed tiers, please call 1-800-XFINITY for assistance.